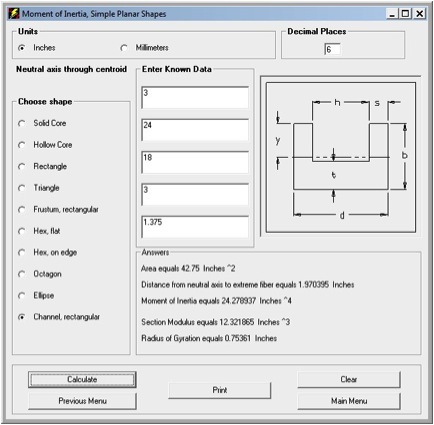 Moment of inertia, section modulus, radius of gyration, and area are all used in the calculations of strength of materials. Just enter your known dimension for one of the ten standard shapes to get the values you need. Most values are sent to the appropriate text boxes automatically.